Over 75 million users worldwide trust Exclaimer email signature software to get total control over their corporate email signatures. Find out why you should trust us too! Create attractive email signature templates with HTML images and text. Get consistent signatures with merged field data pulled from Active Directory/Google Directory. Get high-quality signatures on all emails, even if they are sent from mobile devices and Macs. Manage everyone’s signature from a central console to ensure the professionalism of your brand. Design different signatures for different departments. A marketing team can showcase an event, while customer services get a signature with the company’s opening times. Conveniently update every signature in your organization with a single click. Turn corporate email into a low-cost, high-volume marketing tool that will reach literally thousands of people daily. Capture data on clicks in the signature and feed them to analytics or marketing automation software. Ensure every message has the appropriate email disclaimer for legal compliance. Do you find managing Office 365 signature tedious using Transport Rules? Well, you need a dedicated Office 365 signature service to help you. Design professional signatures that are automatically added to every Office 365 email with Exclaimer Cloud - Signatures for Office 365. Get signatures on all devices when sending from Office 365, including on mobiles and Macs. Select a design from the template library OR let Exclaimer create a custom signature for you. Want to get more out of Gmail email signatures for your G Suite users? Create multiple organizational signatures with a dedicated G Suite signature service. Every G Suite user gets an email signature when sending email from all email clients, on any web-enabled device. Design and control all signatures through an intuitive web portal, designed for users of all technical abilities. Create different email signatures for individuals, departments, domains or the whole organization. All email signatures are automatically populated with users’ contact pulled from your Google directory. Add dynamic elements such as promotional banners, social media icons and user photos. Users will be able to see their signature whilst composing an email in the Gmail web client. Want to make managing Exchange signatures across your organization easier? Exclaimer Signature Manager Exchange Edition gives your users professional, consistent and legally compliant Exchange signatures across all devices. Add signatures to all emails passing through Exchange, whether from an email client like Outlook or a mobile device. Design the perfect Exchange signature with logos, marketing banners, social media links and more. Get consistent signatures with auto-completed user details pulled from your Active Directory. Ensure everyone has the same signature companywide, which no unauthorized user can modify. Convert all plain-text email signatures into full HTML on all devices including smartphones and tablets. Compatible with Exchange 2016, 2013, 2010 and 2007. Wish all software packages were this good – I’d recommend this to anyone. Exclaimer is a fantastic company that is totally focused on providing great products. The recognized global market leader in on-premises and cloud-based email signature software/solutions. Responsible for building the first ever email signature software in 2001 with over 15+ years of experience. Products used by over 75 million users worldwide with some companies holding licenses for over 100,000 users. Used by some of the most prestigious organizations across the globe including the BBC, DMG Media Limited, Sony, Audi, NBC and the Government of Canada. Regularly recommended by Microsoft MVPs (Most Valuable Professionals) with a strong reputation within the Microsoft community. 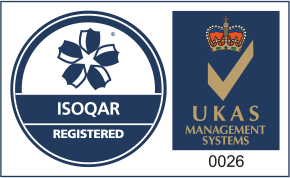 Has successfully achieved the ISO 27001 Certification for its development of a cloud-hosted email signature service for Office 365 & G Suite. The recipient of multiple awards within the IT sphere and winner of the Queen's Award for Enterprise, the most prestigious business award in the UK. Wrote the official Email Signatures for Dummies guide so you can use email signature marketing as a powerful advertising tool.